Clothes: Last seen wearing blue jean shorts and a blue polo shirt. 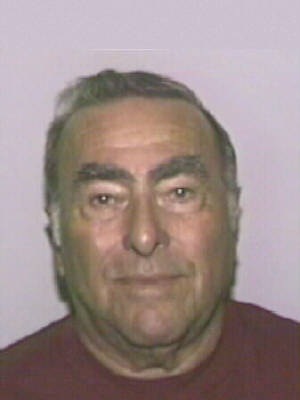 Irving Isaac Merkovitz was last seen by his caretaker on March 26th, 2012, at approximately 3:15 p.m. in Cape Coral, Lee County, Florida, where he resides. Irving has senile dementia, he has not driven for several months instead relying on a caretaker for transportation. At approximately 3:30 p.m. on March 26th, Irving left his residence driving a 2005 gold Chrysler Town and Country minivan bearing Florida tag (Y7SSS). He has not been seen or heard from since. It is believed he may be confused or disoriented. Irving takes medication for High Blood Pressure. If you have any information, please contact the Cape Coral Police Department at (239) 574-3223. You can text us a tip- Text "CCPD + Your message" to 274637 (CRIMES). You can also submit a tip to us online at www.capecops.com/web-tips. Finally, you can call Crimestoppers at 1-800-780-TIPS. All tips are completely anonymous. UPDATE: Mr Merkovitz has been located in Miami. FDLE has been notified. Silver Alert has been canceled.